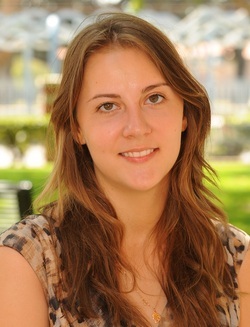 Jenny Jonsson is a sophomore at the University of Southern California in the Marshall School of Business. Her academic concentration is in entrepreneurship and she is pursuing a minor in photography and social change. She grew up in Bellevue Washington, but has also studied abroad in Sweden. Last summer Jenny worked as a marketing and sales intern for a not-for-profit jewelry line called Same Sky. Same Sky is a company that employs HIV-positive women in Rwanda who have survived the 1994 genocide. Jenny worked on planning and organizing events as well as establishing the brand into new stores. She has also been interning for Stellar Women’s Leadership delegations since she was 15 years old and has traveled to both India and China on actual delegations. She served as the delegation photographer, participated in decision making for upcoming programs, and served as a film crew assistant. She also helped found the Stellar Marshall Women’s Leadership delegation with her mother, Laurie Jonsson. 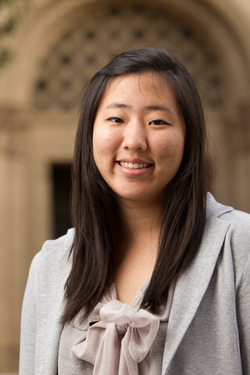 Sarah Choi is a rising junior at the University of Southern California. She is currently in Marshall’s Joint Degree program studying Business/Cinematic Arts (BCA) with a minor in Music Industry. This is her second time travelling abroad with USC Marshall she has travelled to Santiago, Chile on the freshman LINC Program last spring. On campus, she is involved with the BCA Mentor Program, JEP, Campus Crusades for Christ and is a member of the Alpha Lambda Delta Honor Society and Rho Lambda Greek Women’s Honor Society. In the summer of 2008, she was also awarded the Congressional Gold Award in Washington D.C. She is highly involved in the Greek system at USC as a member of the Gamma Phi Beta sorority and currently serves on the Panhellenic Executive Board as the VP New Member Educator. Born and raised in Southern California, she hopes to one day pursue a career in the entertainment industry. Her passion for arts, music, and entertainment has led her to past internships at the Orange County Register (Arts & Entertainment intern journalist) as well as Universal Music Group. As she continues to pursue her BCA degree at USC, Sarah hopes to eventually go to Law School after graduation. Fatima Ahmed is currently a sophomore at the USC Marshall School of Business studying Finance. At USC she has been actively involved in a number of student organizations such as the Undergraduate Student Government, the Marshall Women’s Leadership Board, the Hospitality Industry Project and the USC Equestrian Team. She also participated in the yearlong Emerging Leaders Program and is a board member for the Pakistani Students Association. Fatima works at the USC Office of Cultural Relations and University Events where she organizes alumni events, assists with invitations and overlooks last minute event details. Prior to moving to Los Angeles, Fatima lived in Karachi, Pakistan where she completed her high school education. During her high school years she was involved with diverse internships, ranging from working as an investment banking summer analyst to interning with the Ministry of Education to assisting non-governmental organizations that aim to improve the community. She continues to visit Karachi, Pakistan during the summer and works towards improving the social conditions. Fatima will be studying at HEC Paris in France during the Fall 2011 semester as part of the Marshall International Exchange Program. She will also be doing an internship in London, United Kingdom with the USC Marshall Global Summer Internship Program. Poulami Jagtap is a sophomore at the University of Southern California. She hails from Pune, India. She is currently studying Business Administration in the Marshall School of Business and International Relations in the Dornsife School of Letters, Arts and Sciences. At USC, she is part of various extra-curricular student organizations such as Hospitality Industry Project, USC Entrepreneur Club, International Student Assembly and Trojan Entertainment Connection. She currently serves on the Executive Board of Hospitality Industry Project as the Vice President of Publicity and the Chair of Fundraising. Poulami is passionate about entrepreneurship, global business and clean energy, and is enthusiastic about integrating these three components in any prospective business ventures she might pursue in the future. Her ultimate goal is to help provide wide spread education, health care and infrastructure to people that are deprived of it in different parts of the world. As one of the women leader delegates, Poulami is excited about this opportunity to travel to China to immerse herself in the country’s dynamic business and cultural environment. She considers herself to be incredibly fortunate to have the chance to travel, be inspired, learn and grow exponentially from this trip. 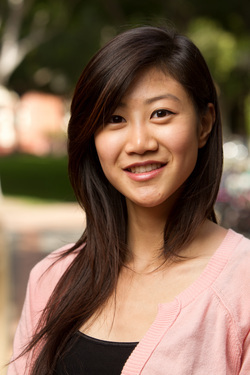 Pingping Hong is a current sophomore at University of Southern California majoring in accounting at the Leventhal School and minoring in Japanese. Pingping is from Sichuan, China. She began her study abroad journey at sixteen in Oklahoma. Pingping had a memorable year with her host family who was headed by the owner of TJ Campbell, Oklahoma’s top road building company. Her second year in the US, Pingping moved to Ventura, California, and stayed with her aunt Xiaohan Hong who is an author with 50 published articles in newspapers and magazines such as World Weekly. XiaoHan is currently working on her first book which is focusing on China’s Human rights issues. Pingping is working closely with Xiaohan to collect materials for this book. She has been interviewing many Chinese victims who have suffered from the government taking away their basic human rights in China. 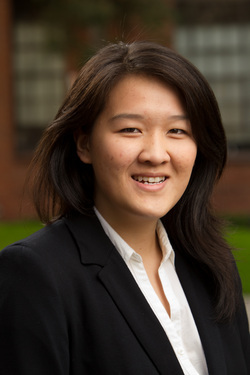 Pingping is striving to become a woman leader who connects China and America in social, educational, political areas. She is truly thankful and honored to be selected on MWLD team. She is looking forward to meeting inspirational and successful woman mentors during the trip. 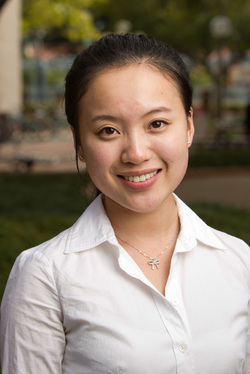 Yan Ting Lye is a sophomore at the University of Southern California completing a dual degree in Business Administration with a concentration in International Business and a degree in Neuroscience. In recognition of her achievements, she has received USC’s Academic Achievement Award and is a USC Presidential Scholar. As an international student originally from Kuala Lumpur, Malaysia, she has lived in three diverse regions of the world including Southeast Asia, the U.S. and the U.K. In reflection of her international background, she was the Director of Programming and Development for USC’s International Students’ Assembly (ISA). For the upcoming 2011-2012 term, she has been elected as the Executive Director for ISA and will be responsible for the organization of 18 member organizations and their 1,000+ members in order to further expand the ties between international and local students. 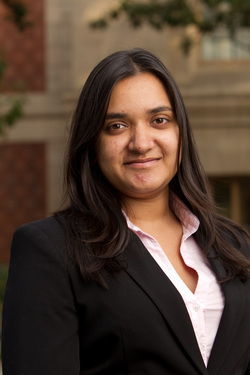 ISA’s goal is to strengthen connections between the international student communities at USC, a university which has the largest international student population in the U.S.
She has interned at the Colombo Plan Secretariat’s Program for Private Sector Development and Drug Advisory Program in Colombo, Sri Lanka. The multinational organization focuses on inter-governmental collaboration for the socio-economic advancement of Asia-Pacific countries through private sector business development ventures and the prevention of illegal drug trafficking. Professionally, Yan Ting is interested in the business side of the healthcare industry. Specifically, she hopes to pursue a career in the pharmaceutical or biotechnology fields. She is equally attracted to careers in business development or in operations within these industries. She will be interning with Guardian, the largest pharmacy, health and beauty retail chain located in Malaysia during the summer of 2011. There, she will be working within each of their different departments including operations, pharmacy practice, supply chain, buying, marketing, visual merchandising, corporate communications, finance, as well as HR to gain comprehensive knowledge about the retail pharmaceutical industry. Lindsey Poole is a rising junior at the University of Southern California majoring in Communication with a minor in Business Administration. She hopes to explore the social and cultural communication processes that largely influence people’s perceptions and interactions with one another. With her degree, Lindsey wants to enhance her ability to initiate and maintain meaningful relationships with people with all types of backgrounds in her pursuit of global Corporate Social Responsibility efforts. At the University, Lindsey plays an active role in community service efforts. She has participated in a few international service opportunities, having volunteered at an orphanage in Ladyville, Belize this past winter break. She recently accepted the Alternative Winter Break student coordinator position through USC’s Volunteer Center, where she will lead a three-week service trip abroad for University students. She is also the Director of Fundraising and Community Service for the National Association of Black Accountants, Greater Los Angeles Student Chapter. Following her undergraduate studies, Lindsey hopes to receive her MBA. 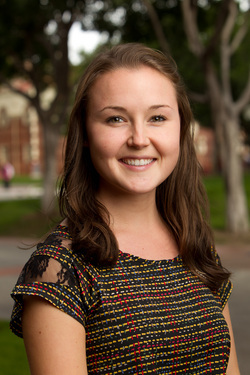 Lauren Jung is a sophomore majoring in accounting at the University of Southern California. Her dream to work internationally brought her to USC, and her passion for leadership, helping others and learning from those around her drives her in all of her activities. She currently works at the Asian Pacific American Student Services (APASS) as Assistant Coordinator for the Connections! 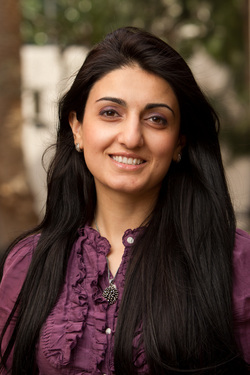 Career Mentoring Program, dedicating her time and energy to helping students and alumni form career and life mentorships. Prior to this role, Lauren interned in Shanghai with Chia Tai Group in the company’s Business Development office as a market research intern. She currently serves as Vice President of External Projects for the Marshall Women’s Leadership Board, in which she focuses on planning community involvement activities as well as developing strong alumni relations. She is a Marshall Student Ambassador and student coordinator for the Freshman Leventhal Accounting Cohort. As a USC Trustee Scholar, she is a member of the Associated Trustee & Presidential Scholars organization. She served two terms on the executive board of the Asian American Business Association (AABA) and as a staff writer for the US-China Institute’s US-China Today online publication. For the 2009-2010 academic year, she was nominated for USC Marshall Student Organizations Most Valuable Board Member award for her work with AABA. 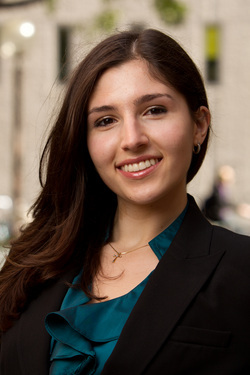 Lauren recently competed in Deloitte’s International Student Business Forum 2011 in Athens, Greece as one of 72 student delegates from around the world. She worked in a team that spanned six different countries and Lauren and her team won first place in the case competition as well as the People’s Choice Award. Lauren is a former nationally-rated fencer and San Francisco’s Miss Teen Chinatown 2009. Francis Lo is a junior at USC Marshall School of Business. Her major is Business Administration with a concentration in Finance. 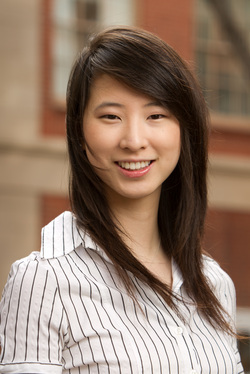 At school, she is involved in Accounting Society, Marshall Career Advantage Program, and Trojan Investing Society. Besides her campus involvement, Francis has had some professional experiences in the accounting and financial services industry. In summer of 2009, she interned at SinoPac Securities Corporation in Taipei, Taiwan in its Institutional Business Division. She conducted a market research on micro-projectors to determine if it was profitable to SinoPac’s clients. Most importantly, she created an important presentation deck to be presented to future partnerships with Chinese corporate investors. In summer of 2010, Francis was involved with several summer leadership programs at various accounting firms including Ernst & Young, Grant Thornton, and Rothstein Kass in California. Other than networking and exploring career options in the accounting industry that summer, she was invited again to intern at SinoPac Securities Corporation’s Fixed Income Division. She was trained to use Bloomberg to collect data for Excel projects as well as research and analyze the Fixed Income market. She had the opportunity to work with a proprietary trader to analyze the techniques of bond bidding and trading. She also translated and produced Letters of Support to SinoPac’s affiliated companies in Hong Kong. This summer, Francis will be interning at JP Morgan’s Commercial Banking. Francis hopes to work internationally in the finance industry. She would like to get her MBA and CFA in the near future. She wants to be an inspirational leader to others and to be able to give back to the global community. Francis is fluent in English and Mandarin Chinese and moderate in Taiwanese. She loves traveling and has already been to at least 10 countries. She plans to travel more in the future and be able to meet new people and learn new cultures. 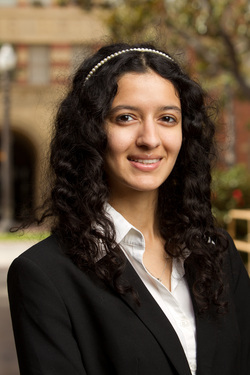 Liya Vanyan is a junior at the University of Southern California, double majoring in Accounting and Finance. She was born in Yerevan, Armenia and is fluent in Armenian and Russian. This summer Liya is going to intern in Grant Thornton for their assurance services. After graduation she plans to gain work experience and later attend law school to study business law. Eventually, she plans to open her chain of restaurants for Eastern European/Indian food. 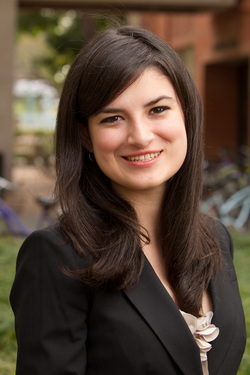 Liya is active in the USC Armenian Student Association, which promotes Armenian Culture and increases awareness of Armenian Genocide on campus. 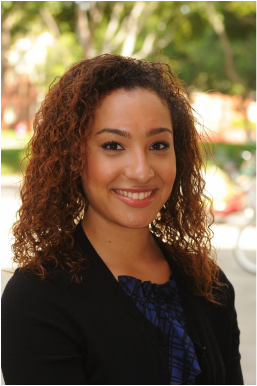 She is also a part of ALPFA business and accounting student organization at USC. She has been a mentor for transfer students at USC to help them overcome any challenges they experience as transfer students. Liya enjoys roller-skating and ice-skating, and always wanted to become a professional ice-skater. She played piano for seven years and is fond of classical music. Liya enjoys traveling and learning about different cultures. She believes that everybody’s ideas matter, and that everybody can make valuable contributions toward changes in our society. Julieta Martinez is a sophomore at the University of Southern California studying business administration with an emphasis in Marketing and a minor in Sociology. Julieta is passionate about giving back to the community and finding new ways to incorporate social responsibility into her business. During her junior year of high school, Julieta co-founded the Invisible Children United Club at South Pasadena High School to raise awareness and funds for underprivileged children in Northern Uganda – the club was awarded the Rookie Club of the Year recognition. While at USC, Julieta has focused on learning about business and how to incorporate social responsibility into her work by joining the Marshall Outreach and Volunteer Entrepreneurs (MOVE). As the Director of Membership and Recruitment for MOVE, she implemented strategies to get the members more involved by creating a weekly newsletter and committees to help plan events and advertise events. Julieta has also spent the last two years learning more about the fashion industry by volunteering at local fashion shows and joining USC’s Fashion Industry Association. As a member, she worked backstage during the annual student run fashion show, preparing the final looks to be worn by the models. Next year, Julieta will be taking a more active role as she was recently appointed as the Co-Director of Membership. Looking toward the future, Julieta aspires to combine her passion for social responsibility with her passion for interior design and fashion by leading a marketing campaign for a retail company that encourages consumers to give back to their communities. Jennifer Lee is a sophomore at the University of Southern California majoring in business administration and biological sciences. She hopes to pursue a career in healthcare and become a professor in pharmaceutical economics. She currently shadows a team of physicians at the Los Angeles County USC Medical Center and works as a research assistant at the Marshall School of Business. 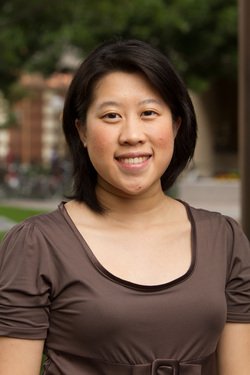 Jennifer is currently researching how positive emotions affect consumer behavior. Jennifer is also active in the USC Marshall community as the Director of Operations for the Marshall Women's Leadership Board. Her creative interests include graphic and web design. She will serve as the incoming Public Relations Coordinator for the University Residential Student Council and as the Historian for Alpha Epsilon Delta, the pre-health honor society. Anna Sergeeva is a junior in the entrepreneurship program at the University of Southern California, where she is studying business and film. She is a recipient of the Trustee Scholarship, a four-year, full tuition, merit based scholarship for undergraduates, and has been on the Dean’s List for the Marshall School of Business since beginning her time at USC. This year, she has gotten heavily involved in the technology startup community in Los Angeles. In order to fully pursue this passion, Anna is now CEO and co-founder of Eventfii, a tech startup that helps event planners get the funds and committed attendees they need to execute their event. Anna is originally from the Ukraine and has a passion for international travel – she interned for CP Group in Shanghai the summer of 2009 and since then has backpacked through Cambodia, Thailand, India, Peru, and Colombia. Besides traveling, Anna likes to hike, play tennis, and take film photographs. Diana Toma is junior pursuing a BS in Business Administration and a BA in International Relations at University of Southern California. As Director of Faculty Relations for USC’s Academic Culture assembly, she has run events and panel discussions covering topics from cartoons to revolutions in the 21st century. Diana also works for Ezy Consulting as a marketing intern, specializing in marketing several webinars concerning how businesses can increase their productivity and reduce costs by learning how to utilize Cloud Computing and Microsoft Business Productivity Suite. Working one-on-one with clients to begin implementing demand generation campaign strategies, Diana dedicates her time to ensuring clients successfully reduce their IT costs, increase awareness of their product, and expand their business. 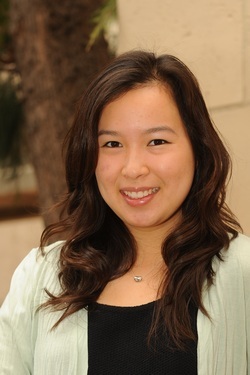 Benita Yu is currently a sophomore at the Marshall School of Business, University of Southern California. Along with majoring in Business Administration, she is also pursuing a minor degree in East Asian Languages and Cultures. Since her freshman year, Benita has been actively involved in several on-campus student organizations. This year, as the first Director of Professional Events for Marshall Outreach and Volunteer Entrepreneurs (MOVE), she pioneered efforts to establish a focus on the professional aspect of social responsibility in club activities. Her work enabled MOVE to expand the type of events offered to its members and to address the topic of business and social responsibility in its programs. In addition to being part of MOVE, Benita was also Publicity Director for USC Asian American Student Assembly, Vice President of Marketing and Public Relations for USC ProPEL, and a member of Marshall Connection Program’s Peer Advisory Board.